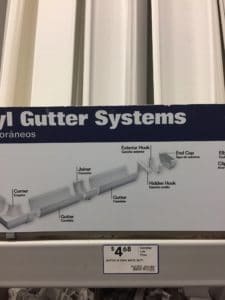 I know what you’re thinking, “another rain gutter bookshelf idea?” I know this idea is so “yesterday” on Pinterest, but hear me out. 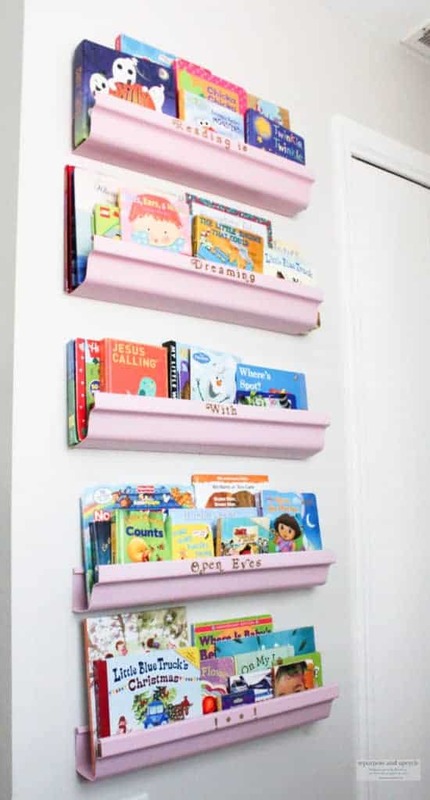 I’ve scoured Pinterest and the web for rain gutter bookshelves that DON’T look like rain gutters. There aren’t any! 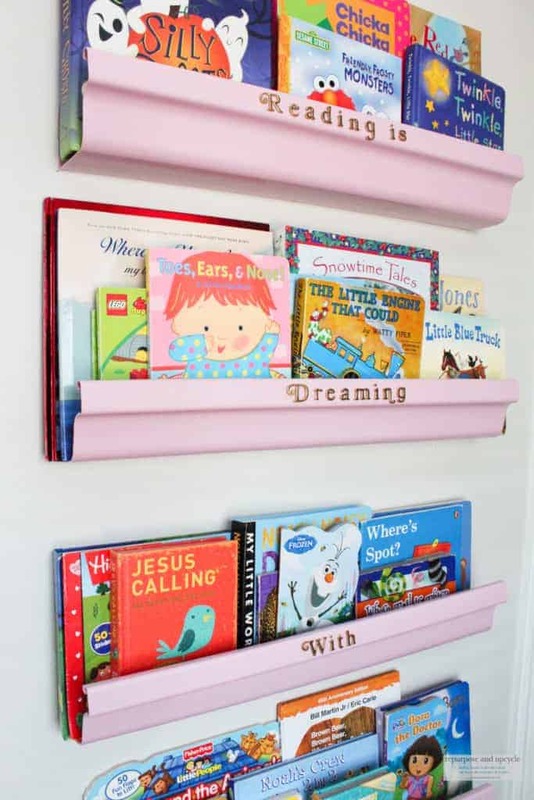 Well, friends, I decided I would make my own and make sure these DIY bookshelves actually looked great too! 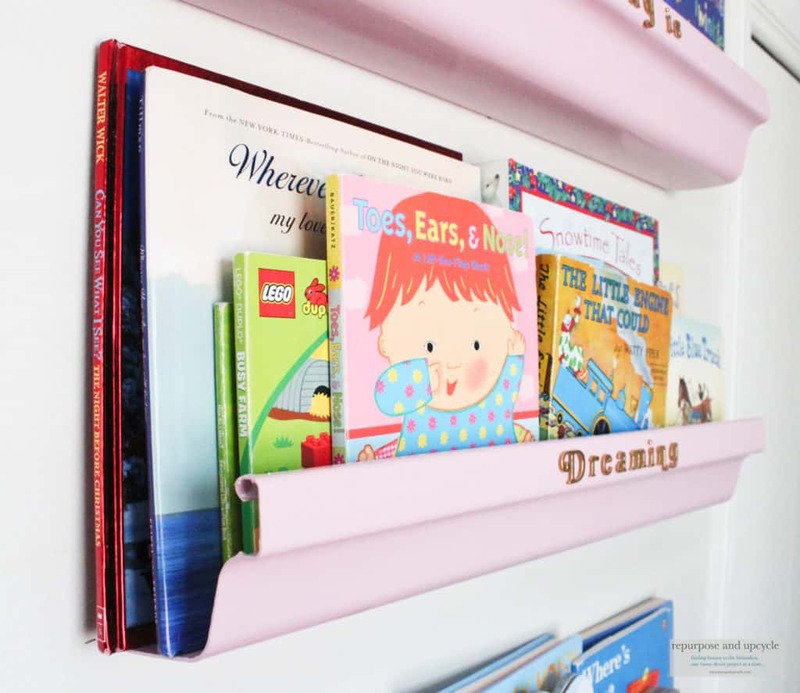 I’m going to share with you my own twist on the DIY rain gutter bookshelves for under $10! 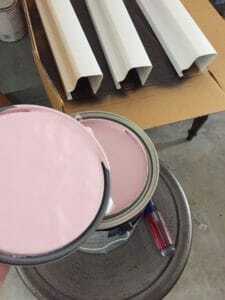 Let’s start with the boring part of this DIY; making the rain gutter bookshelves. 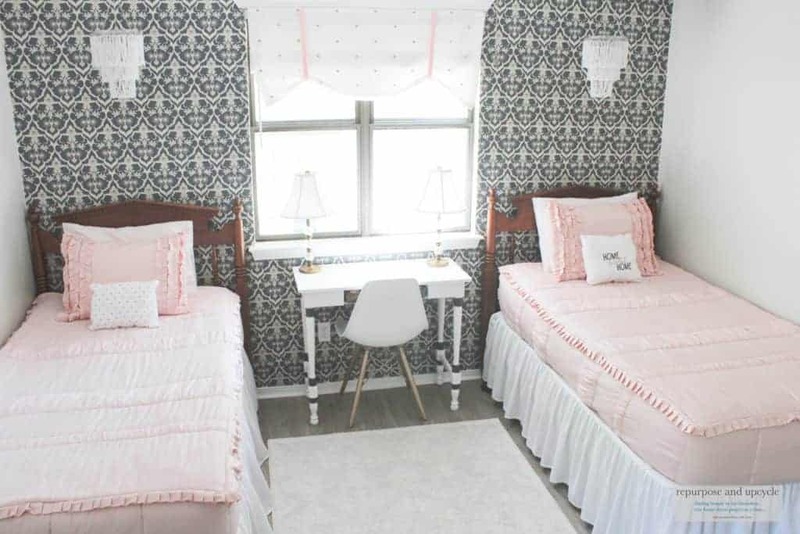 I’m gearing up to start my daughters bedroom makeover, and on the top of the to do list is organizing a place for her books. Her room is small, and I need to create more floor space. This means the books need to be up on the wall and off of the floor! I thought about buying a shelf, but then why would I do that when I can make my own for a fraction of the cost! Disclosure: this post contains affiliate links. This means that if you purchase from one of these I will receive a small commission but you will NOT pay more for the product. Thanks for supporting my blog! 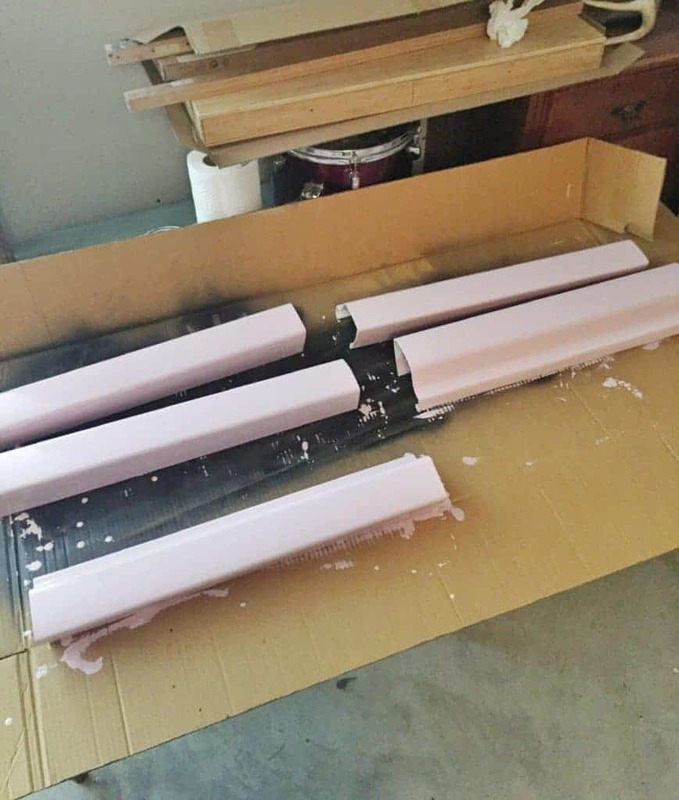 Rain gutter- I bought one PLASTIC 10′ piece with the idea to cut five 2′ bookshelves. While at the hardware store I had one of the associates cut the 10′ gutter so I had one 4′ piece and then another 6′ piece. This allowed me to get it in my car (and one less cut I had to make). The first thing I did when I got home was to make the cuts with my Jig Saw. Once I had five 2′ gutters cut, I sanded the edges. After the edges were good and smooth (don’t want the little ones getting cut or snagged), wipe the gutters down to make sure all the dust is gone. 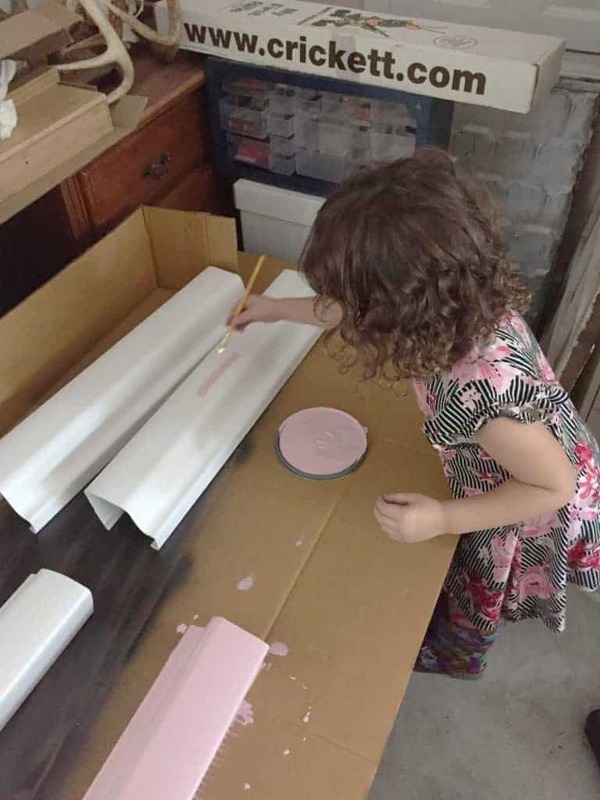 Time to paint the rain gutter bookshelves! Now the question is how do I paint a piece of plastic? Duh…. I know this seams like a no brainer but I know so many people who skip this step. (If you want to see more non paintable surface tips and tricks see another post HERE). 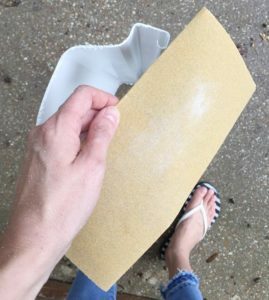 Did I ever tell you I’m a lazy DIYer? You might already be able to see this, but if you haven’t, well, there it is! 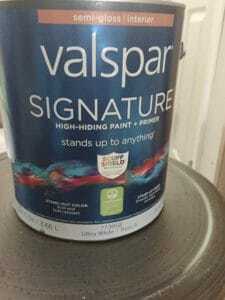 Because I’m a lazy DIYer, I decided to try a new type of paint that includes primer AND paint in one. I got this at Lowe’s. I’ve always been a little leery about trying an ALL IN ONE paint, but I’m all about trying new things, especially if it makes my life easier. Believe it or not this paint went on really smooth and stuck really well on the first coat! I always suggest two coats, even when it looks good after the first. Two coats down and they are looking really good! Before I drilled anything into the wall, I found a stud. 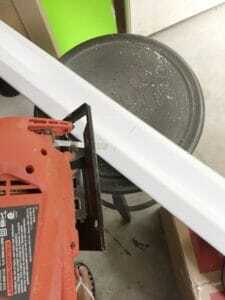 I used a drill bit to drill through the rain gutter and into the wall where the stud was. I started by installing the bottom bookshelf. 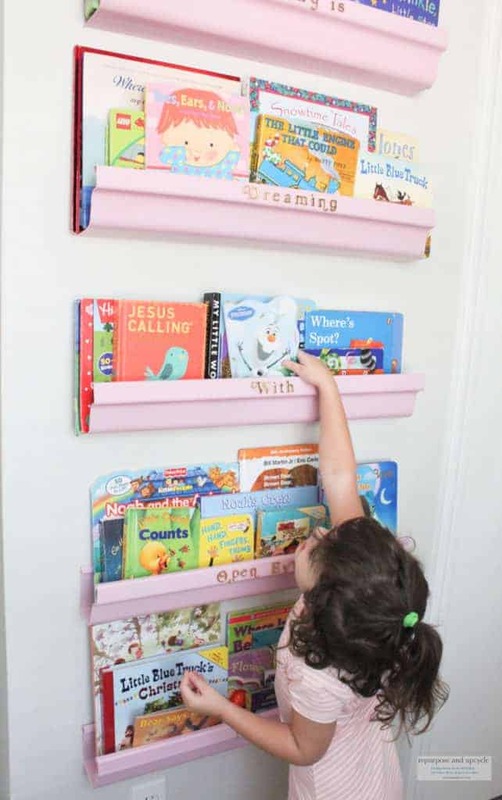 I then added a tall book in the shelf and measured to see where the next shelf should go. I kept the measurements the same for the rest of the shelves. 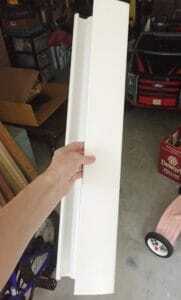 After hanging each rain gutter shelf with one screw, I went back and added two more screws to each shelf. 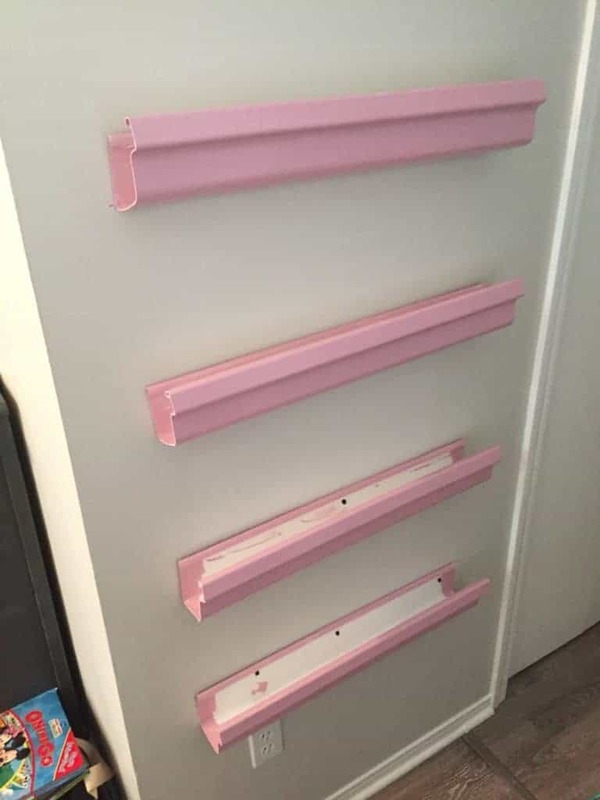 When I was done, each shelf had three drywall screws. I’m guessing you noticed that I didn’t paint the inside of the book shelves before install. Just a side note: I had every intention to purchase the end caps for the rain gutters, but they just happened to be out at the hardware store on the day I was there (always seems like my luck 🙁 ) I decided to proceed with my little DIY and add the end caps later….or so I thought. 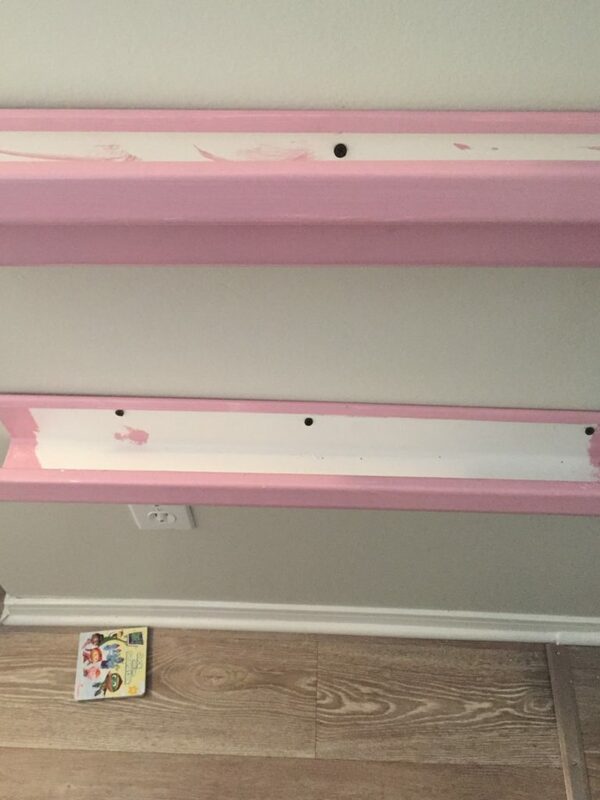 After I added the final coat of paint to the gutters and placed the books in their shelves, I kind of liked the shelves without the end caps! A few coats of paint to the inside and I was almost done. 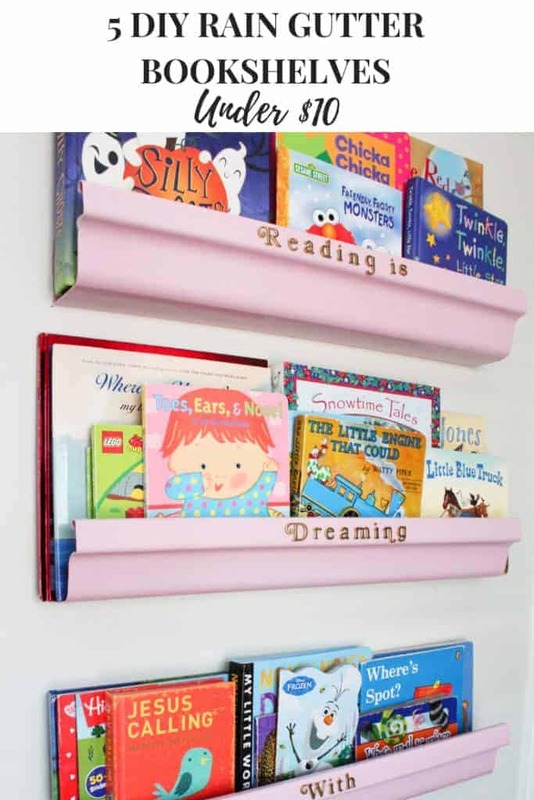 “Reading is dreaming with open eyes.” I knew this cute quote would be the finishing piece to my DIY rain gutter shelves. 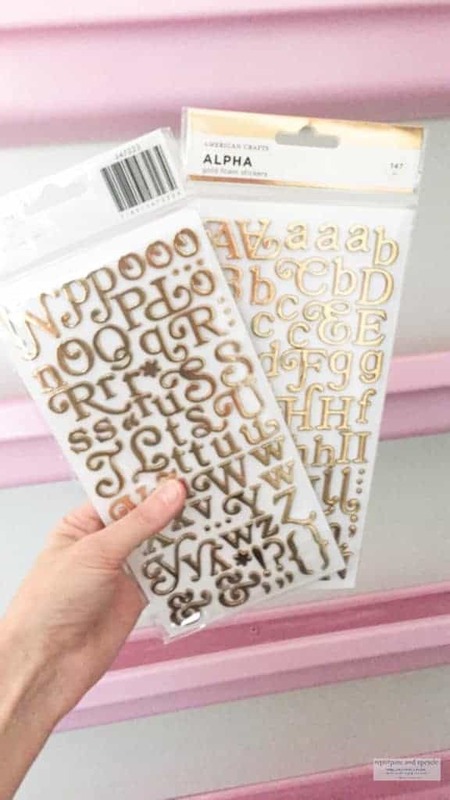 I found these stickers at Target. Did y’all like this post? I hope you found it helpful. Feel free to save the image below for later to Pinterest. Happy DIYing! Thanks for stopping by. Cute idea! I love the space saving aspect. How fun! These look beautiful. Nicely done. Such a great idea. I love the stickers!! Thanks for sharing with SYC. This is such a great idea! 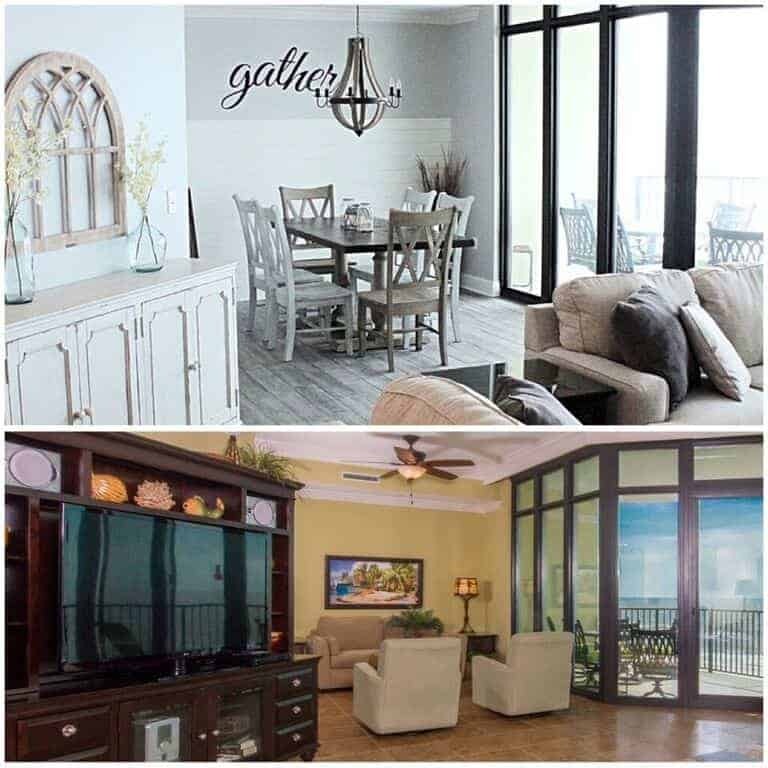 Similar ones, even from IKEA, can get pricey and these can be any length you choose. 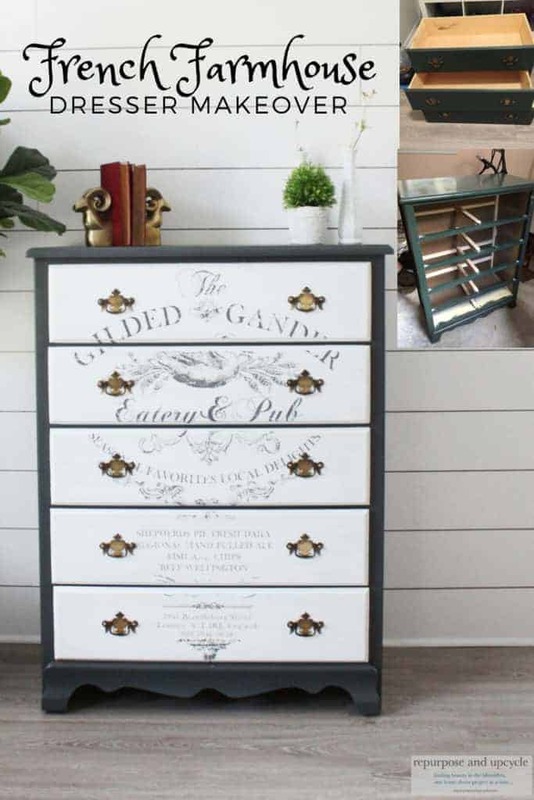 Thanks for sharing this with us at the Homestead Blog Hop, please come back again soon!